TJ Dillashaw was defeated by Henry Cejudo on Saturday night after only 32 seconds in a one-sided blowout. “The Messenger” finished TJ after a barrage of punches on the ground. After the fight, Dillashaw was very furious and claimed the match “was stolen” because of an early stoppage by the referee Kevin MacDonald. TJ confesses he doesn’t accept the defeat well. Also, “Viper” doesn’t mind when he is called “a sore loser”. “Let’s be honest, I’ve never said I wasn’t a sore loser. I don’t take losing very well. That’s not a guess about me. I let my emotions get the best of me, that’s why I’m so competitive and that’s why I am who I am,” he said on The Ariel Helwani MMA Show. “That’s why I put that many hours into the gym and train as hard as I do. Even in practice I get pissed when I lose. You know? I’ve been known for that. My emotions get the best of me,” he added. Yet, TJ Dillashaw doesn’t want to totally defame Henry Cejudo. “So obviously I was furious. It was, I mean a 30 second fight when I know I’m the better fighter. It’s just rough to swallow. If anybody’s been in my situation or just competing in general, you know what that’s like. And I want to be here congratulating Cejudo, first and foremost, I want to make sure that comes across. That is how I feel and know he put in a bunch of hard work, I don’t want to take away anything from his victory or his accolades or what he’s done,” TJ added. But look at this! 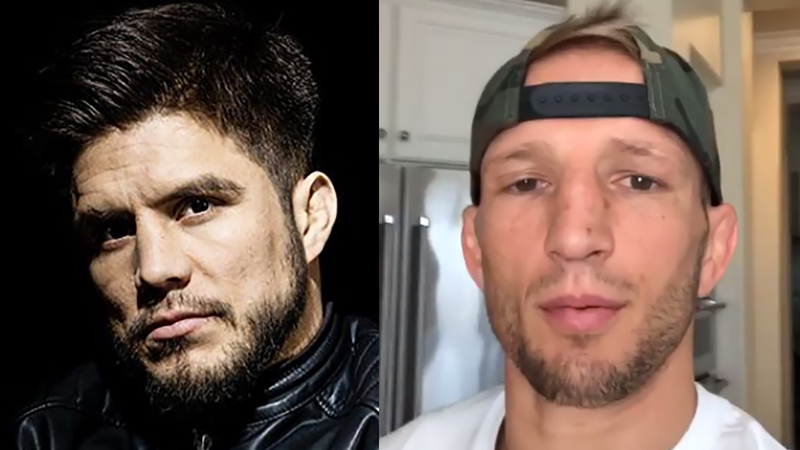 TJ Dillashaw adds he’d defeat Henry Cejudo “99 out of 100 times”! Oh, but Henry Cejudo twists the knife claiming it is unpleasant to hear people stating the stoppage came too early. Both fighters want a rematch. While Cejudo insists on a Bantamweight clash, TJ Dillashaw hopes for another UFC Flyweight title fight. What do you think, will UFC allow these two to meet again? What are your thoughts on TJ’s “99 out of 100” statement?